These engaging narrative poems are written in the voice of the author's grandmother, Gunnhild Olavsdatter Breland, daughter of a man who refuses to believe the earth is round. Born in 1894 in a tiny farm district in the mountains of southern Norway, she follows her older sister to America in 1913, settling in New York City, a remarkable contrast to the landscape of her childhood. Gunnhild knows no English and has about a year of schooling, gained when the schoolmaster made his annual rounds carrying the schoolbooks on his back. An exploration of an immigrant's life that spans the Twentieth Century, this is a piece of the American story. It's also the story of a particular woman, marginalized by gender, national origin, mental illness and social class, who weaves folktale and Old Country wisdom with her own unique practicality and hard-won truth. Linda Strever grew up in Connecticut and earned a B.S. in English Education at Central Connecticut State University. In her mid-thirties she moved to Brooklyn, New York, earning an MFA in Creative Writing at Brooklyn College, City University of New York, where she was awarded the Louis Goodman Creative Writing Scholarship. Her poetry credits include Crab Creek Review; Floating Bridge Review; Spoon River Poetry Review; CALYX, a Journal of Art and Literature by Women; Beloit Poetry Journal; Nimrod: International Journal of Prose and Poetry; Adanna and others. Winner of the Lois Cranston Memorial Poetry Prize from CALYX Journal, her work has been a finalist for the Spoon River Poetry Review Editors' Prize, the Crab Creek Review Poetry Award, the Eludia Award for Fiction, and the A. E. Coppard Prize for Fiction, as well as in the William Van Wert Fiction Competition and the Summer Literary Seminars Fiction Competition. 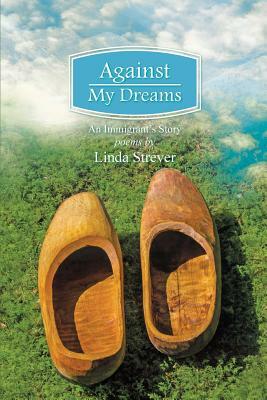 Against My Dreams was a finalist for both the Intro Series Poetry Prize and the Levis Poetry Prize from Four-Way Books, the New Issues Press Award in Poetry, and the Ohio State University Press Award in Poetry. She has worked as a proofreader, editor, graphic artist, teacher, trainer, and mediator and lives with her husband in the Pacific Northwest.